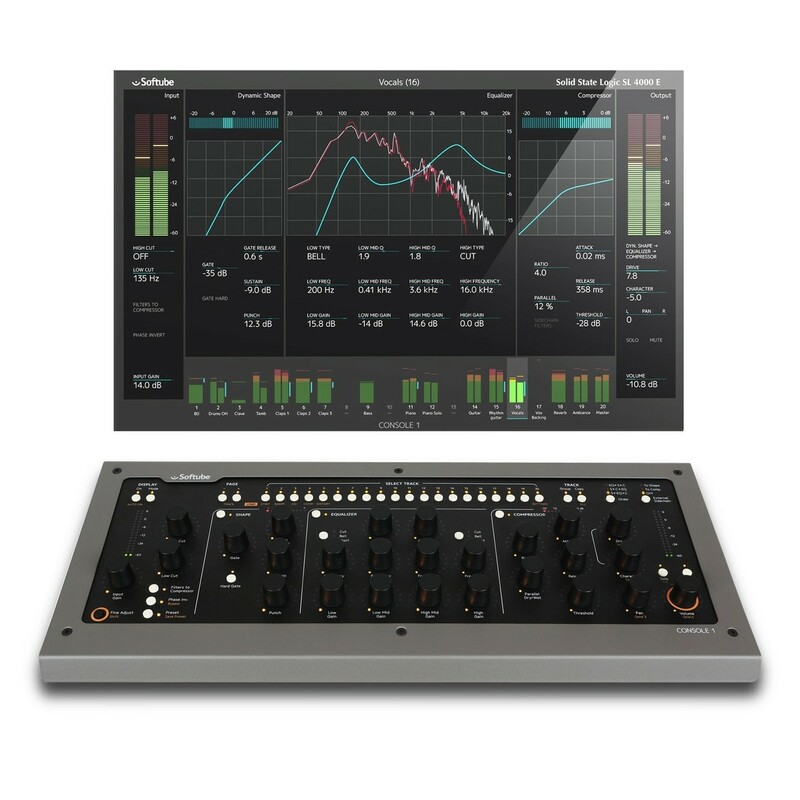 The Softube Console 1 MKII is a powerful and highly intuitive control interface, designed to optimise your workflow when it comes to mixing and processing audio. The Softube Console 1 MKII is the ideal centrepiece for any DAW based professional studio, with the sleek and ergonomic design providing a comprehensive interface for controlling all aspects of your DAW. 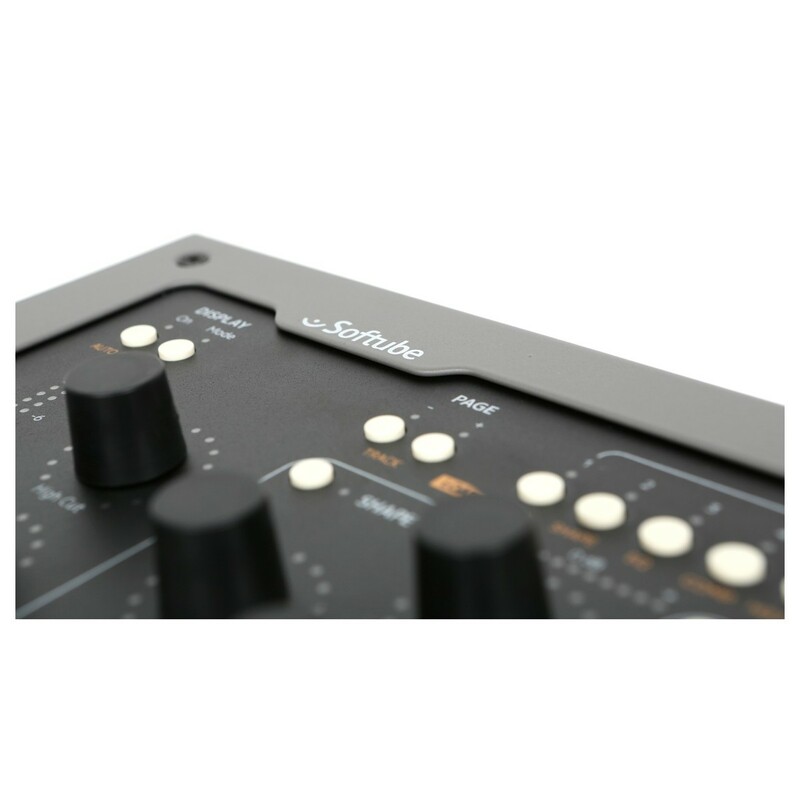 The Softube Console MKII provides intuitive control of EQ, compression, gate, volume and pan controls all your tracks, without the need for MIDI mapping. 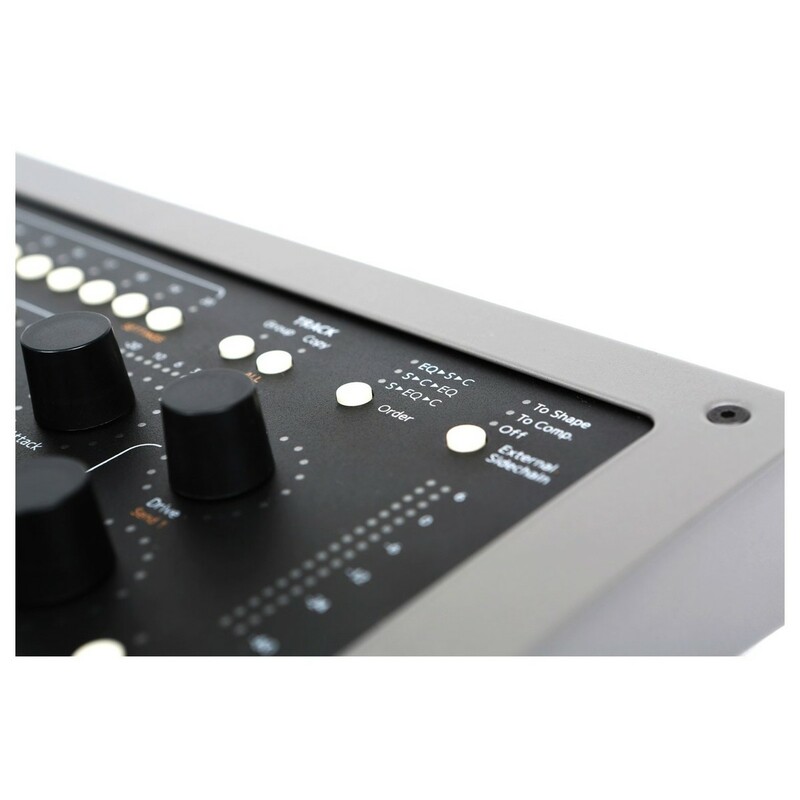 The Console 1 MKII also includes the Solid State Logic SL 4000 E console, one of the most infamous high-end consoles on the market. Additionally, the Softube Console 1 comes complete with 60 Console 1 read plug-ins made by Softube and Universal Audio. Special Offer: Buy a Console 1 and get the British Class A add-on (worth 174 GBP) for free! Soak your tracks in classic British sound. Offer available until 30th April 2019. Want that classic 60s and 70s sound? Add body and character to your tracks with this extra add-on that you'll get for free when you buy a Softube Console 1. To get your free add-on all you need to do is buy a Console 1 and then send an email to: givememybca@softube.com. In the email you'll need to include your name and iLok id. Offer is available until 30th April. Please note: This promo also includes any customers that bought the Console 1 from 1st January 2018 and forward. The Console 1 MKII from Softube includes a wide range of dedicated controls for every aspect of your DAW. The sleek design features a range of different sections with controls including: ADSR filter, Cutoff, Threshold, Pan, Volume and more. The rotary style control knobs allow you to precisely dial-in the required amount of each control for optimal precision. The ergonomic layout features labels for all the controls as well as a track selection array at the top of the panel. 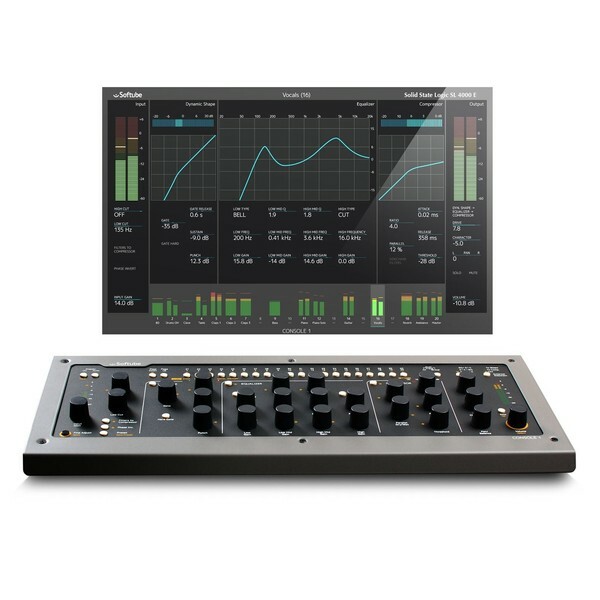 With its highly intuitive controls, the Softube Console MKII Control Surface features everything you need to process, mix and edit your source audio. The upgraded hardware design features more visible LED markers as well as a range of enhancements for improved efficiency. At the heart of the Softube Console 1 MKII is the sound of the infamous Solid State Logic SL 4000 E console, one of the most legendary high-end consoles ever released. 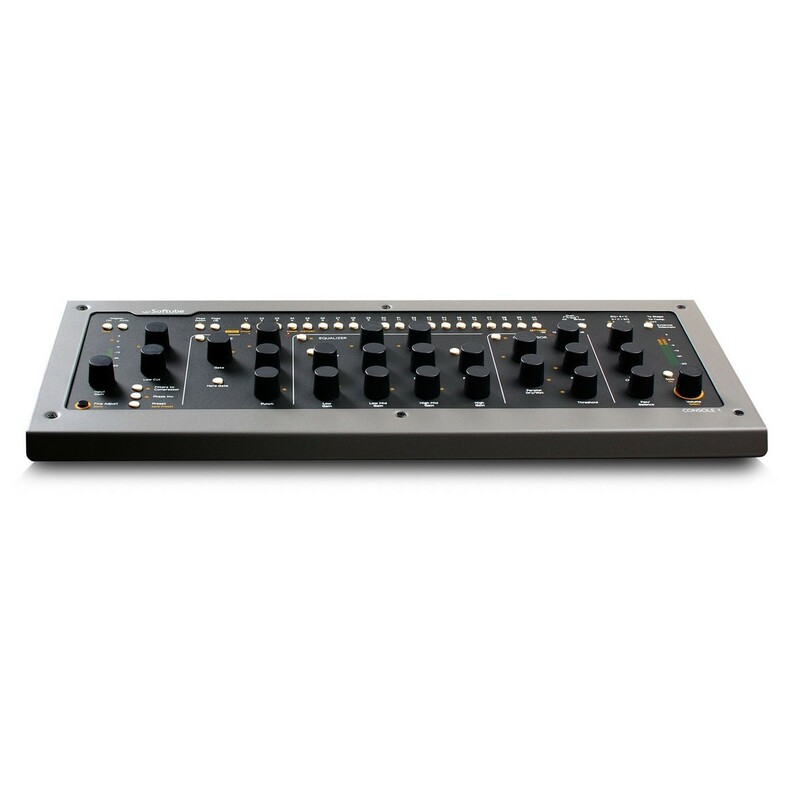 The analog circuitry, the Solid State Logic SL 4000 E console includes is replicated and integrated within the Console 1 MKII Control Interface, for vintage analog warmth with exceptional clarity and audio fidelity. One of the most unique features of the Console 1 MKII is the ability to customise your channels with the 60 available Console 1 read plug-ins, created by Softube and Universal Audio. These studio-grade plugins feature software emulations of some of the most sought-after compressors, EQ’s and more. The plug-ins include: Tube-Tech Classic Channel, tube-Tech 1B Compressor, Trident A-Range, Tube-Tech PE 1C ‘Pultec’ Equalizer, Drawmer S73 Intelligent Master Processor just to name a few. The Console 1 MKII Control interface works with all the major DAWs available, with additional support for Presonus Studio One and Cakewalk Sonar. The seamless integration the Console 1 MKII provides, ensures optimal control for all your parameters and functions within your selected DAW. In addition to the Console 1 ready plug-ins, the Console 1 MKII also features support for Console 1 channel strips with EQ, compressor, gate and modelled saturation borrowed from the original analog hardware. The options available at the moment (with more to come in the future) are as follows: Solid State Logic XL 9000 K-Series for Console 1, British Class A For Console 1 and Summit Audio Grand Channel for Console 1.